One of the most important landmarks on Bucharest music scene, Green Hours JAZZ Fest, takes place for the seventh time this year. With a very eclectic and daring program, the event gather together international artists and a breeder audience, from June 4th-7th, 2015, in Bucharest. Friday, June 5th, 7 PM - Italian Evening! Tickets to be on sale starting with Wednesday, May 13th, in all the 3 venues! As usual, the seats will be taken in order of the arrival. 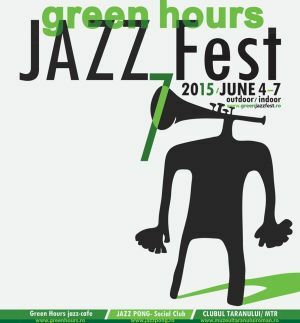 "Green Hours JAZZ Fest 7 " Festival in Bucharest. You can get here description, reviews, address, time and details of "Green Hours JAZZ Fest 7 " Festival in Bucharest. Visit Bucharest Tips for more Festival events in Bucharest!